The Kenwood KDC-W3541A CD receiver offers plenty of power, EQ sound controls, and MP3 and WMA playback all at a very attractive price! With this Kenwood KDC-W3541A receiver, your vast supply of tunes will always sound fantastic. The internal 50W x 4 amplifier adds fullness to your music, while the System Q Sound Control's three-band equaliser and six preset tone curves let you fine-tune the sound. 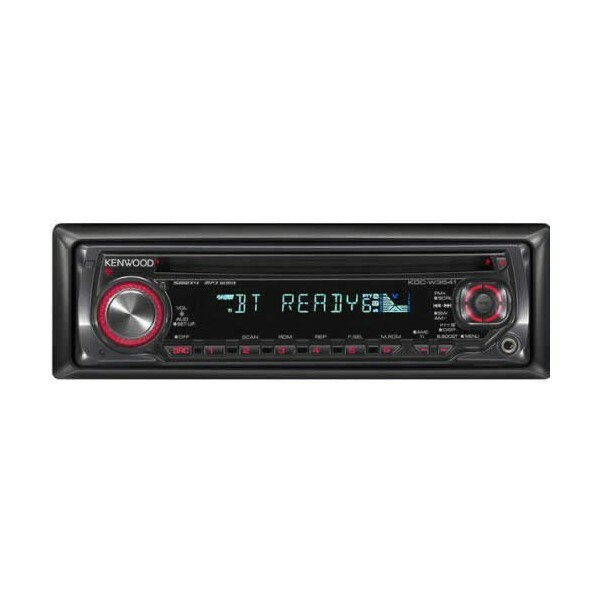 The Kenwood KDC-W3541A is also supplied with a front mounted aux input to hook up your portable mp3 player. The vivid display is clear and concise and the simple control panel and handy rotary knob make it easy to navigate tunes while you're driving.